FOR IMMEDIATE RELEASE: Lewiston, Maine (April 29, 2017) – Josh Jones emerged from his college and professional basketball career with both his health and his competitive hunger intact. While some top-notch athletes struggle to find new outlets after the first wave of cheering stops, Jones, 29, had the right connections and proper temperament to become a rookie all over again in a much different athletic environment. Jones, who had a tryout with the Maine Red Claws of the NBA Development League before continuing his career in Canada and Germany, will make his mixed martial arts debut with New England Fights tonight, Saturday, April 29. 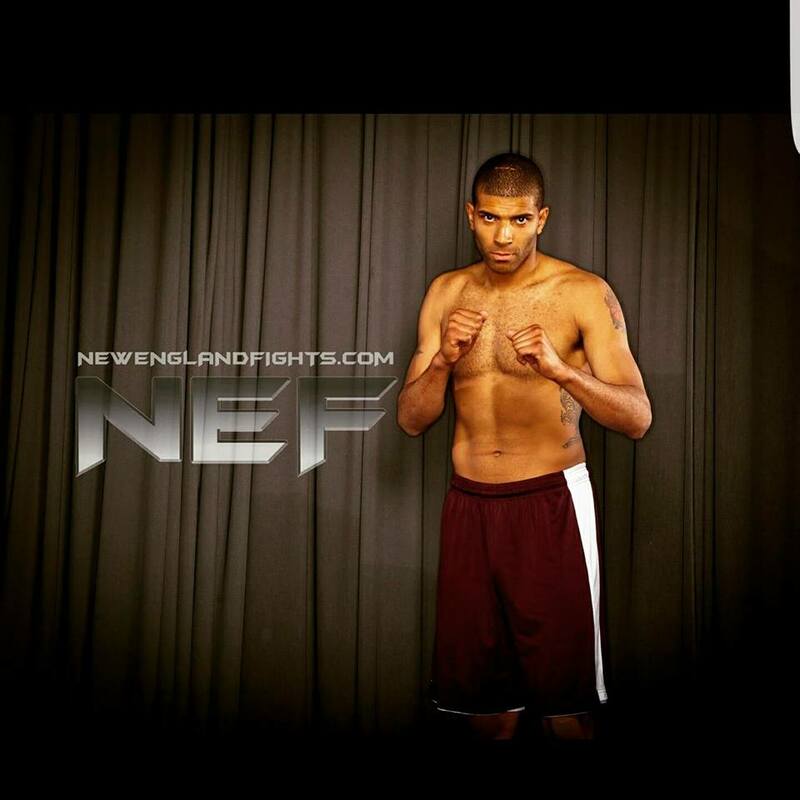 He will take on Sean Worcester (0-2) in a 185-pound middleweight bout as part of “NEF 28: Invincible” at the Androscoggin Bank Colisee in Lewiston. “You look for different challenges in life, and this is a tremendous challenge,” Jones said. If you think Jones took a circuitous route to the MMA cage, it fits the profile of his personal and athletic past. An Arizona native, Jones moved to Maine with his mother and two younger siblings as a child and made his name on the hardwood. He was a star at Erskine Academy in South China, leading the Eagles to the Class B state championship in 2004. From there, Jones spent a post-graduate year at Maine Central Institute, the now-defunct prep basketball program that produced more than 100 Division I players and numerous NBA veterans in its era. Jones shared similar dreams. He wound up at Olney Central, a junior college in Illinois, then NCAA Division II Texas-Permian Basin before finishing close to home at Division III Husson University in Bangor. He averaged more than 19 points and 11 rebounds per game as a senior and was named player of the year by the Maine Basketball Writers and Coaches’ Association. Rio Grande Valley of the NBADL chose Jones with the sixth pick in the third round. Later in the fall, he was one of the final cuts for the Red Claws, Portland’s affiliate of the Boston Celtics. Jones reached the end of his basketball road two years ago. His friendship with Walt and Nicholas Shea of First Class MMA in Brunswick led to his unlikely transition from court to cage. Like many others, Jones was a fan of the growing sport in his youth. He also had friends who were well schooled in its individual disciplines, such as wrestling and martial arts. First Class MMA was the ideal place to hone that predisposition. Its owner, John Raio, was a champion on the mat in high school and college before making his successful transition to the NEF hexagon. Jones said that his basketball footwork serves him well in his MMA training. His stablemates at First Class MMA take care of the rest. Many of them outweigh the ex-hoopster by 50 or more pounds. “The great thing about First Class is that I get a little bit of everything,” Jones said. “After the wrestling and jiu-jitsu, the striking (instruction) is with Ras (Hylton), who’s a giant. And then Nick Gulliver and Bryce Bamford beat down on me every night. I’ve definitely had a tough camp. On paper, Jones’ first foray into the cage looks like a slam dunk. Worcester lost his first two fights in under a minute, including a TKO loss to Jon Tefft of First Class MMA in his most recent outing. Jones won’t take him lightly, however. “He was fighting as an independent then and now he’s training with Young’s MMA, so you know he has improved,” Jones said. Jones will start out as an MMA amateur. He has started a handyman service, JJ’s Remodeling, as a day job. Additionally, Jones aims to give back to his community by starting a “Second Chance” charity, with hopes of providing college scholarships and other support for “people who have learned from their mistakes in life,” he said. Yes, Jones is a late arrival to the sport. As the rare transition from Maine high school basketball to the pros demonstrated, however, it would be unwise to count him out. From more than a decade of highs and lows on the hardwood, Jones knows better than to look ahead. The opening bell for “NEF 28: Invincible” tonight in Lewiston is set for 7 p.m. Tickets start at $25 and are available at www.TheColisee.com or by calling the Colisee box office at 207.783.2009, extension 525. Tickets will also be available at the door.